SUMMARY: From my collection, one of each dog. For the Power Paws new years party, Instructor N is gathering photos and video clips from students for a show. 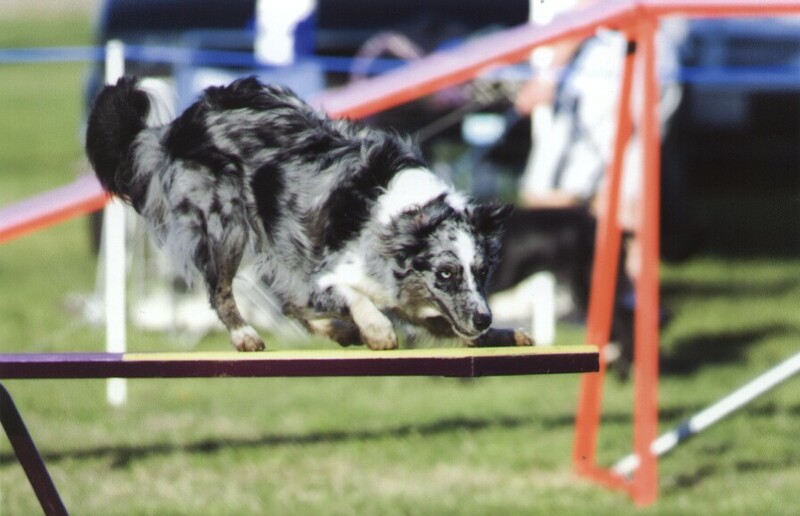 These agility photos aren't necessarily the best ones of my dogs, but they are distinctive in one way or another. 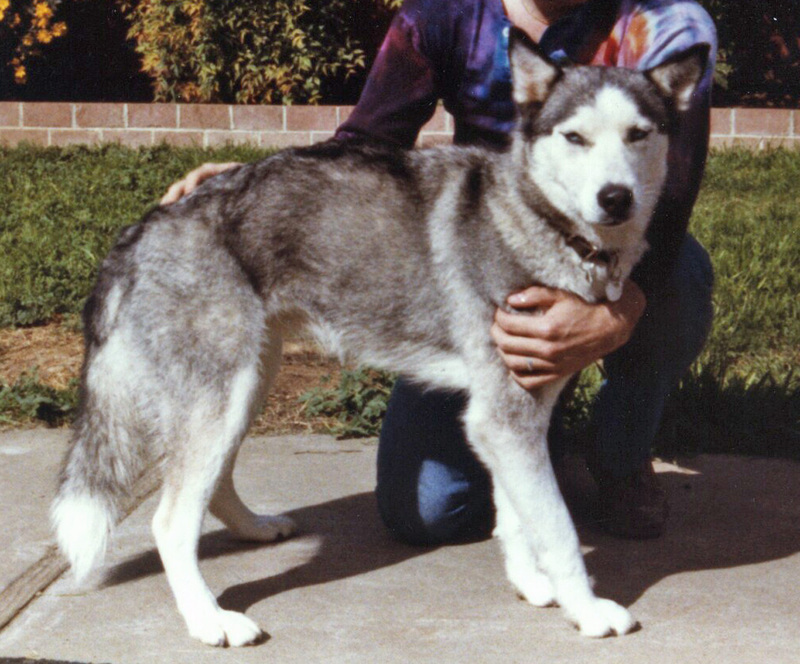 For this blog, for completeness, I added photos of my first two (preagility) dogs. I have very few photos of them, turns out, and most of them are lying down. Wish I had tons more, but nooo--these are the best photos of the whole dogs. 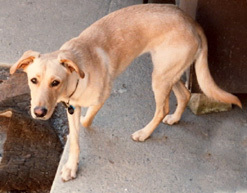 Amber, my first dog, German Shepherd/Golden Retriever. Here she's about a year old. Got her at 6 weeks; she lived to 13. Sheba, our Siberian Husky. Came to us at about 6-12 months just after we got married and barely predeceased our marriage (her: 17 years; us: 19). Remington. 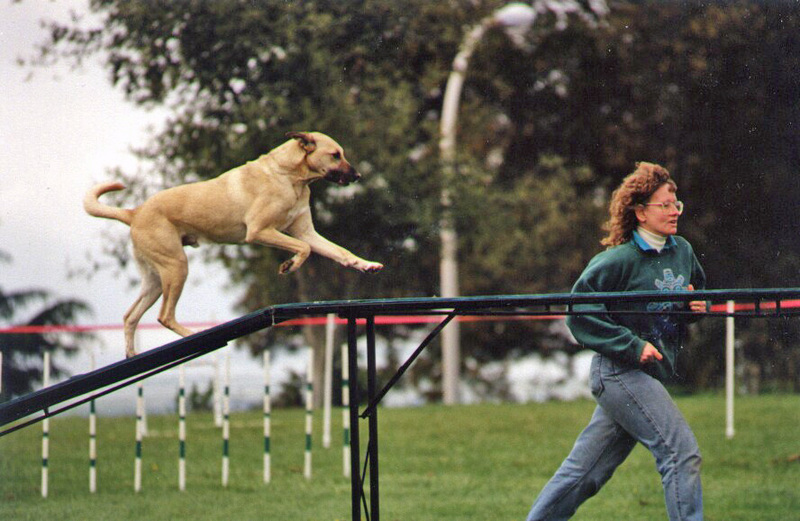 He was about 10 months when we adopted him, and 3 when he started agility. I chose this one for the presentation because it shows the whole dog and has me in it, and I realize that it's been almost 5 years since I lost him, so there may be many people who know me but don't remember him. Almost inconceivable that it's been that long--he was just lying on that bed in the corner only yesterday, wasn't it? This remains one of my favorite photos of Jake, who joined us when he was 6. Tika, adopted at about a year old. Picked this photo for the presentation because it's the funniest weave photo I've ever seen. Boost is only the second dog I've had as a real puppy--about 3 months when she came home. 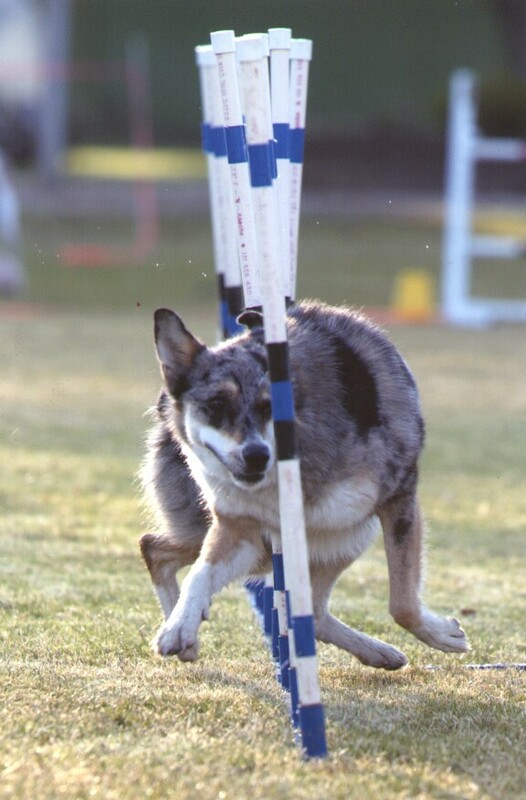 I don't have a lot of photos of her doing agility yet, but this surely shows off her teeter speed--although lately she's often been sliding into a slam-down, which is a joy to behold. I think the one of Tika weaving is pretty darn cool! 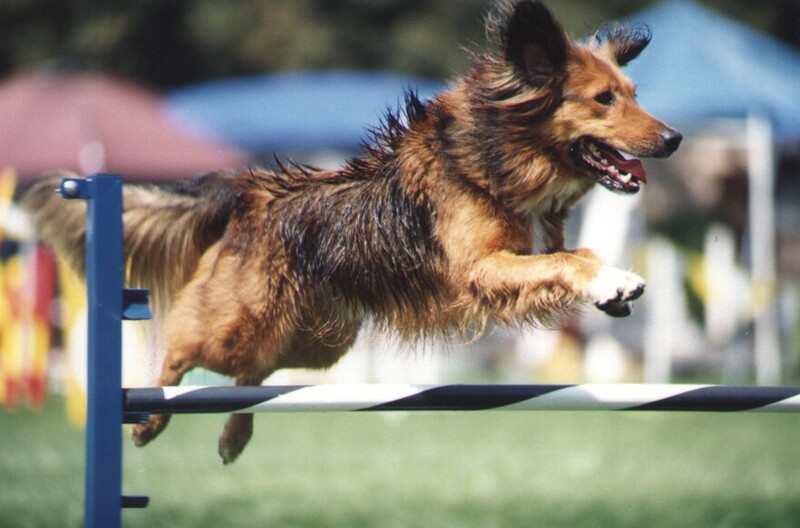 As is the one of Jake soaring over the jump, fur, tail, and ears flying while making it look effortless.